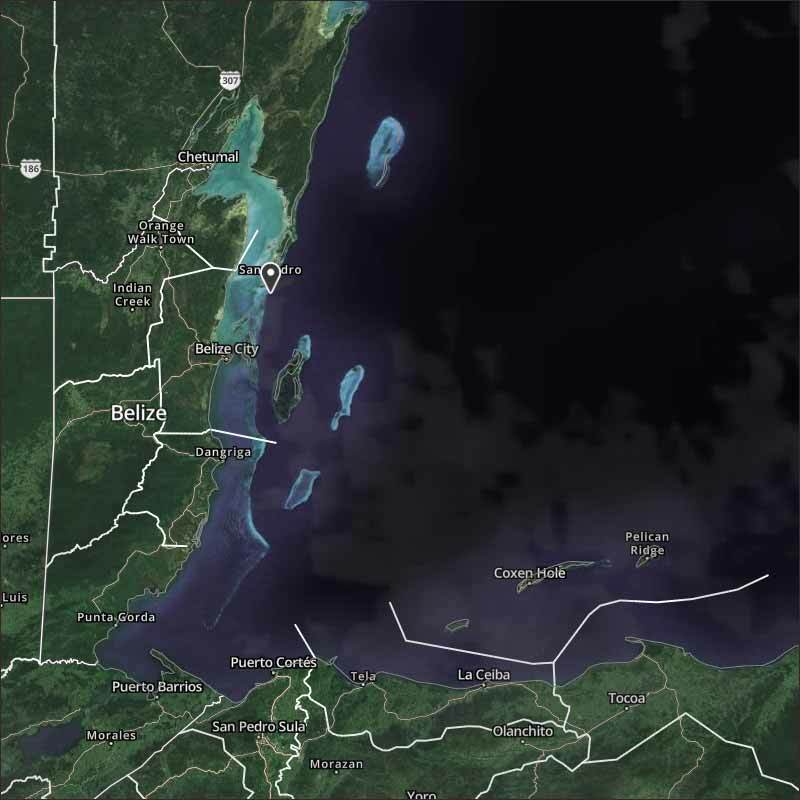 Belize NMS: Mainly fair weather prevails over the area. 24-hour forecast: Mostly sunny today and partly cloudy tonight with isolated showers. General Outlook: For Friday and Friday night is for cloudy spells with generally isolated showers at first, increasing to a few late. Daily Tropical Weather Outlook: At 3:00am Tropical Storm Rina was centered near 44.5N, 47.0W or about 330 mls ESE of Cape Race Newfoundland. Today N-NW 5-15 kts Choppy-High 3-4 ft ISOLATED SHOWERS. Tonight N-NW 5-15 kts Choppy 3-4 ft ISOLATED SHOWERS. Tomorrow N-NW 10-20 kts Choppy-Moderate 3-5 ft A FEW SHOWERS. Outlook N 10-20 kts Choppy-Moderate 3-5 ft A FEW SHOWERS AND ISOLATED THUNDERSTORMS, INCREASING. 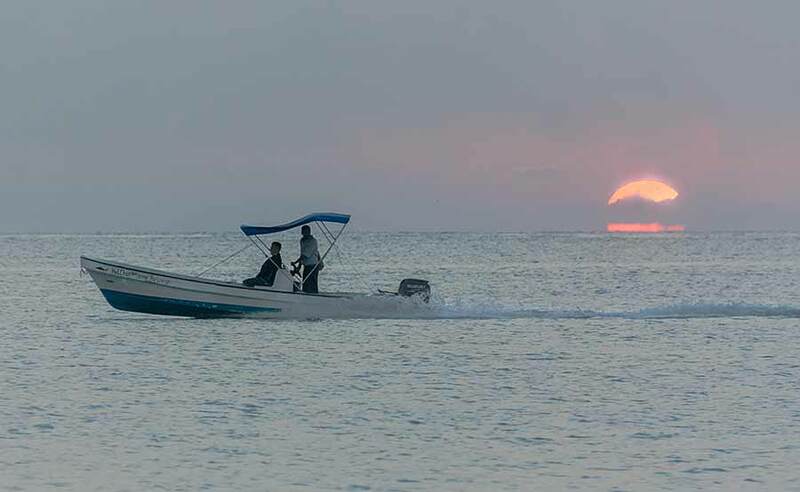 On Ambergris Caye this morning the waters around the Barrier Reef are flat calm from the Northern breeze influence . 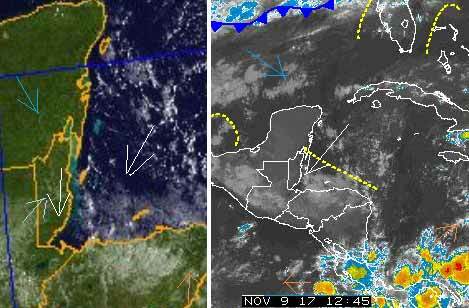 The sky is clear and we have an expected high of 86 f.
The NE Caribbean air is predominating, it is directly from the north over Belize, causing a line of clouds and a few patches of rain down south, mainly just off the coast in the sea. The cold front is still very active, not moving any nearer, but is having a little effect on our weather. Presently, there is a fairly strong SW "Tiger" wind from the SW at ground level. Looks like today will be a mixture of sunshine and significant cloud, with a chance of some rain showers.